When tragedy beyond one’s control strikes, and an injury results, individuals, after tending to their medical injuries, will often look to figure out who is responsible. Unfortunately, it can be difficult to ascertain exactly who the responsible party or parties may be. 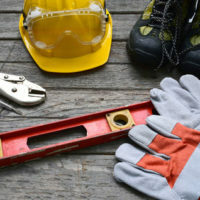 Retaining the services of an experienced Miami construction accident attorney is key to this analysis. Typically, attorneys act as investigators, searching through documents, videos, and other evidence, along with taking testimony of various individuals. One tragedy that has been in the news for over a year is the collapse of the bridge on the campus of Florida International University. Recent court filings have shed contradictory light on a meeting of engineers on the morning of the collapse, in which two engineering firms have maintained differing versions of the meeting. The injuries can be quantified as damages. In order to succeed in a negligence lawsuit, an injured individual must be eligible to sue. In legal terms, an individual must have standing. Any individual who was personally injured, has standing, and can sue for those injuries, in an effort to obtain reimbursement for medical expenses and lost wages (if work is missed during recovery), as well as direct compensation for pain and suffering. If the injured individual succumbs to his/her injuries, then the negligence action becomes, officially, a wrongful death action. In such a case, certain family members of the decedent can institute litigation for a loved one’s death. Eligible family members include parents, spouses, and children, and they can seek compensation relating to any end-of-life medical bills incurred by the decedent, as well as pain and suffering, any wages that would have been used to support the decedent’s family, any losses in inheritances, and any costs related to funeral and burial expenses. In a structural collapse, such as the Florida International University bridge, the primary inquiry concerns which individual or entity failed to uphold the standard of care. In many cases, the structure is designed by an engineering firm and installed by a construction firm. Obviously, liability may lie with these two entities. Additionally, though, the property owner may be held liable, as well as any entity that provided assurances as to the safety of the structure, which may include the local government, which would have approved the construction. As mentioned above, a personal injury attorney will investigate to ascertain the individual or entity that is most appropriate to hold liable, making a conversation with an attorney essential. If you have suffered an injury which you believe is the result of negligence, contact the experienced personal injury attorneys at Pita Weber Del Prado as soon as possible. Complicated cases involving construction accidents and large structure collapse can take years to investigate and develop. The sooner you seek legal advice, the more time and resources our attorneys will have to build the strongest possible case. Contact the Miami office today for an initial consultation.